Travel between the real world and the virtual world of Pokémon with Pokémon GO for iPhone and Android devices. With Pokémon GO, you’ll discover Pokémon in a whole new world—your own! 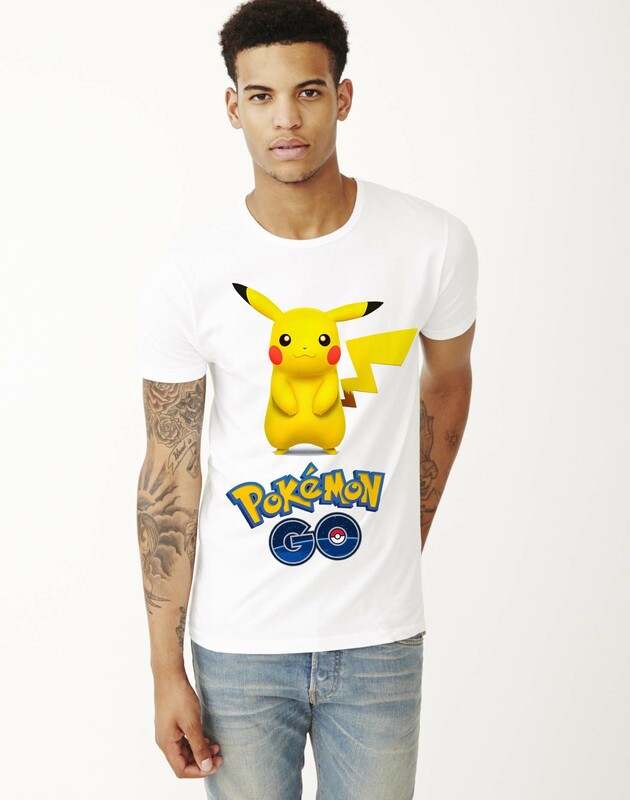 Pokémon GO is built on Niantic’s Real World Gaming Platform and will use real locations to encourage players to search far and wide in the real world to discover Pokémon. 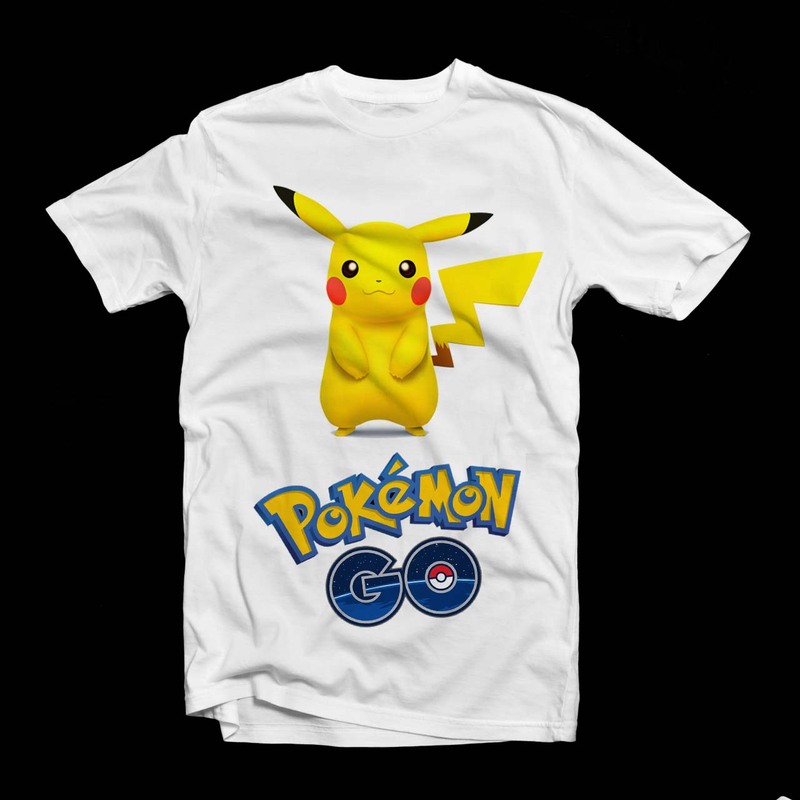 Pokemon Go Tshirt Pikachu Fan Made Game Tshirt , Best Quality white Tshirt. 180gsm Bio Wash. High Graphic Tshirt Design.